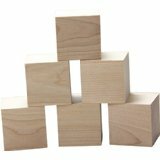 Jenga blocks (2 sets) used or new. ​Adam and Eve’s First Sunset, God’s New Day by Sasso, Sandy Eisenberg and Joani Rothenberg (ill.) A story from the Garden when Adam and Eve discover the blessings of night and day. ISBN-10: 1580231772, 2003. Cain and Abel; Finding the Fruits of Peace by Sasso, Sandy Eisenberg. Cain’s violence stems from not being able to express his frustration in this beautiful tale based on a midrash (Jewish story about a Bible tale.) ISBN-10: 1580231233, 2001. Noah’s Ark by Pinkney, Jerry. Classic illustrations convey the entire tale from the Bible, including God’s role. ISBN-10: 1587172011, 2002. Joseph by Wildsmith, Brian. From the desert tents of the Hebrews to the pillars of the Pharoah’s temple, great illustrations portray the story. ISBN-10: 0802851614, 1997. The Moses Basket by Koralek, Jenny. Miriam, Moses’ sister, plays a major role as a strong female problem solver. ISBN-10: 0802852513, 2003. Exodus by Wildsmith, Brian. A genius illustrator tells the story of the Hebrew escape from slavery without extraneous interpretation. ISBN-10: 0802851754, 1998. The Story of Queen Esther by Koralek, Jenny. A strong female character saves her people. ISBN-10: 080285348X, 2009. David and Goliath (A Bible Story) by Marzollo, Jean. A fun treatment with lamb commentary on the bottoms of the pages. ISBN-10: 0316741388, 2004. The Story of Daniel in the Lion’s Den by McCarthy, Michael. Lilting verse and a humble Daniel. ISBN-10: 1841482099, 2003. Jonah and the Great Fish (A Margaret K. Elderry Book) by Hutton, Warwick (adapter and illustrator). Large illustrations add an otherworldly sensation to the storm and the whale’s belly. ISBN-10: 0689502834, 1984. The Wisdom Bird, a Tale of Solomon and Sheba by Oberman, Sheldon. Teaches respect for different peoples and forms of wisdom. ISBN-10: 1563978164, 2000. Jesus by Wildsmith, Brian. His entire life in a clear and vibrant story. ISBN-10: 0802852122, 2000. Wildsmith, Brian The Easter Story by Wildsmith, Brian. Concentrates of the events during Holy Week. ISBN-10: 0802851894, 2000. Mary by Wildsmith, Brian. Mother Mary’s story from her friendship with Elizabeth to her ascent into heaven. ISBN-10: 0802852319, 2002. Explore the office and value the democratic process. One Candle by Eve Bunting. A story for remembering tragedy and hope at Hannukah. All different types of families bound together by love. All about the Spring Equinox. Three children work out a way to solve some problems and make connections despite differences in race, religion and heritages.